Welcome to Week 15 of the Home Matters Linky Party! We have over $1,000 in Giveaway prizes going on right here! You could win $350 in Paypal Cash just in time for Black Friday! 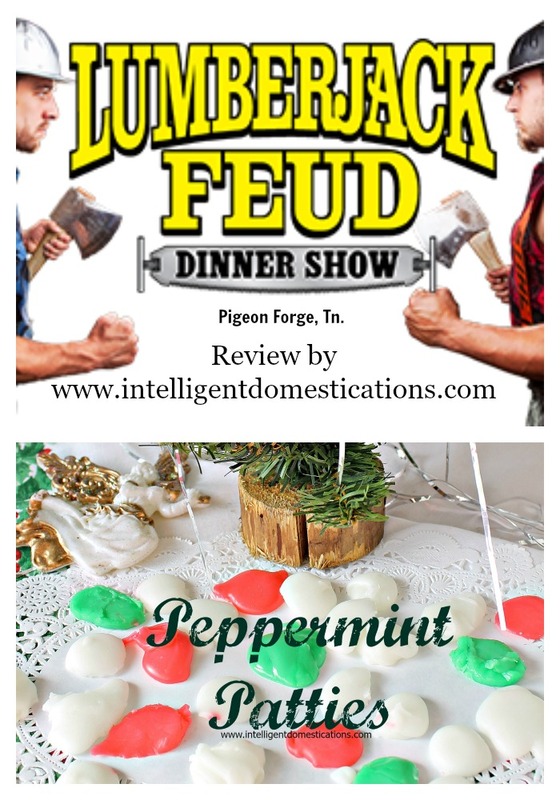 Thanks for linking up with us here at Home Matters Link party. With the Thanksgiving holidays ahead of us, we know everyone will be busy preparing, hosting parties, visiting family and friends, shopping, etc. We have decided to keep this linky open until Tuesday December, 2nd. That’s one week more than our usual time. Hopefully, this will give everyone time to get themselves together after Thanksgiving and to still have enough time to link up their posts! Ultimate Virtual Cookie & Goodies Party And Giveaway! Ends 11/23 (Total cash value of prizes $670 Includes $350 Paypal CASH) HURRY! This one ends in a few days! As always, we look forward to seeing your matters of the home links such as: home decor tips and tricks, DIY, homesteading, homeschooling, child rearing, frugal living, sustainability, and organizational tips! You may grab our button here. My husband and I were on vacation in the Smoky Mountains last week so the blog was vacationing too. I have been devoting a lot of my blogging time to the Ultimate Virtual Cookies & Goodies Party. And now, onto this week’s featured links! Please check out all our features and show them some love by sharing or commenting on their post. You may review our “How to be Featured” tips here and grab the button below if you have been featured. Don’t forget to check out the other Hosts blogs to see the other features. And here are the most clicked of the Week. Both links had 7 clicks each. Please Note: We have pinned your featured links unto our Home Matters Awesome Pins Board. You can follow along here: Home Matters Awesome Board on Pinterest or click on the board below. Follow Zan @ Flourishing At Home’s board Home Matters Awesome Pins on Pinterest. We hope everyone will take a moment to visit some of these featured links and share some love! And remember, after you link, please take a moment to visit a few other blogs and share the love you seek! Thanks for coming to the party and we hope you have a Happy Thanksgiving! What a great party! I’m going to be here a while looking at all of these links. There is some great stuff here. I’ll be pinning! Lots of giveaways and prices over here! And I see we already have 90 links for this party! Yea! Thank you so much for hosting!! 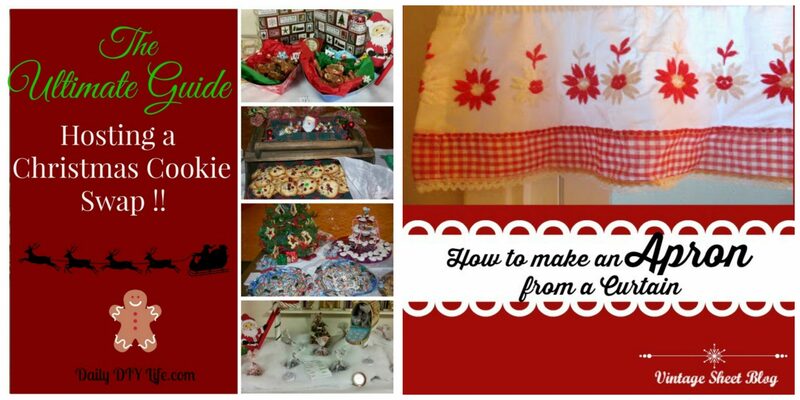 I am honored to have my Cookie Swap Guide featured. Lots of wonderful links here going to skip washing dishes and browse! 😀 Have a Happy Thanksgiving! Hello cute lady! I’m so excited to party with you. Thank you for hosting. Please come to our party that starts on Monday at 7 pm. We would really appreciate it. I love looking through link party posts. I can always find a new blogger with amazing content. I’m just stopping through to “meet” new people. Glad you stopped by Regina. You are so right, I love taking the time to cruise through the link ups and meeting new bloggers too. Hope you linked up with us while you were here. Thanks for the party Shirley! Hope you have a wonderful weekend! Thanks for stopping by Erlene. We do have some fun on the schedule for this weekend, hope you do too! Thank you for the lovely party, Ladies! Hope you have a wonderful week and a very happy Thanksgiving! Robin, we always enjoy your creativity! Thanks for sharing with us at Home Matters. Happy Thanksgiving to you and your family. Love seeing all this inspiration and can’t wait to dig into all the recipes! Many thanks for hosting the party and can’t wait to join! Sarah, so glad you linked up with us! Hope you have a wonderful weekend and a Happy Thanksgiving! Thanks for hosting! Enjoy your weekend! I hope it’s relaxing! Thanks for sharing with us Barb. We do have some fun on the schedule for this weekend. Happy Thanksgiving to you and your family. First time linking up! Following all hosts on Pinterest and Twitter! Thanks for hosting! Ida, I’m so glad you linked up with us! Can’t wait to read your posts! We are here every Friday! So many goodies behind these links. Thanks so much for keeping us in the know. Thanks for sharing with us Kim! LOTS of great ideas in these posts for sure! It’s so much fun to see them all. Paris, thank you for stopping by. I hope your weekend is wonderful! Lorelai, I always love your links! You should be hosting with us here! I wish you a good weekend and a Happy Thanksgiving! Winnie, hugs to you! Thanks for sharing with us at Home Matters! I always enjoy stopping by your party, Shirley! Thanks for hosting. Friday is party day since Zan moved Home Matters to Friday’s! Pretty Pintastic is a fun party too! So glad you share with us.